Fans of the cable dramas The Americans and Justified have gotten used to playing a modern version of Name That Tune: switching over to FX a little early, hearing the fading seconds of a closing credits song, and trying to guess which Marvel movie just ended. In the past week alone, FX has aired 2012’s The Amazing Spider-Man, 2008’s The Incredible Hulk, X-Men: First Class, Thor, The Avengers, Captain America: The First Avenger, Iron Man, and Iron Man 2—each multiple times. This isn’t some special programming block, tied to the release of Avengers: Age Of Ultron. Back in 2008, FX signed a deal with Marvel Studios for the broadcast rights to five then-unreleased films, including three that hadn’t even been announced yet. Ever since, the channel’s been getting its money’s worth. Last fall, TNT got in on the act, buying the rights to Age Of Ultron and four other upcoming Marvel titles. This means that in the near future, at just about any time of day, channel-surfers stand a good chance of flipping past a movie with an Avenger in it. When FX made its original deal, Iron Man and The Incredible Hulk were a few months away from hitting theaters, and the “Marvel Cinematic Universe” was still mostly theoretical. But the channel had done well with superheroes in the past, so the arrangement made sense for both parties. It’s fair to say that FX is happy with how everything turned out on its end, given that the MCU franchise is one of the biggest money-makers in the history of cinema. And since FX has non-MCU Marvel heroes like The Fantastic Four, Spider-Man, and the X-Men locked up too, it’s become a comfortable home for members of the Merry Marvel Marching Society. But the TNT arrangement suggests that Marvel has also seen a benefit to letting its productions replay perpetually on cable. Marvel has expanded its TV presence through the ABC series Agents Of S.H.I.E.L.D. and its spinoff, and through Netflix’s Daredevil and its upcoming companion shows (A.K.A. Jessica Jones, Luke Cage, Iron Fist, and The Defenders). Yet the studio’s most popular and longest-running television programs have been its movies. This hasn’t always been the way that Hollywood has handled its most valuable properties. More often, studios have held to the philosophy that scarcity promotes demand. Back in the days when people relied on broadcast networks for most of their entertainment, the biggest-name films were held back as occasional events. UHF channels might show old Hollywood classics and action-packed B-movies over and over late at night and on weekend afternoons, but the likes of Gone With The Wind, The Wizard Of Oz, The Sound Of Music, and The Ten Commandments were reserved for ABC, NBC, or CBS to air, usually only once per TV season. Modern parents whose kids have watched Frozen on Blu-ray ad infinitum may yearn for the days when Disney limited the home-video releases of its best-loved films, and only allowed them to be broadcast every few years. For a closer analogue to Marvel, consider Star Wars. The first film in the Lucasfilm franchise was released in theaters in 1977, but didn’t reach television until five years later, playing on Pay Per View in 1982, then HBO in 1983, and finally on CBS in 1984. In the interim, fans of Star Wars and/or television—at least those without Betamax or laserdisc players—had to content themselves with a one-hour “making of” documentary and the notorious Star Wars Holiday Special. In the decades since 1984, the Star Wars movies haven’t exactly become TV staples, either. In the United States at least, as of this writing, none of the six chapters are scheduled to air on any broadcast or cable channel within the next two weeks. They do show up periodically on television, but whenever that happens, it’s still meant to be something of a treat. This is the norm, not the exception. Comparing the next two weeks of American TV schedules to Box Office Mojo’s list of all-time biggest grossers, it looks like there are no immediate plans for anyone to broadcast or cablecast Avatar, Titanic, Skyfall, The Lord Of The Rings trilogy, or any of the Harry Potter movies besides Goblet Of Fire. It’s not that these films are unavailable. They’re on various kinds of discs and digital platforms, and they’ve been televised before (and will be again). But the aftermarket handling of the biggest pictures in history tends to be different than, say, the collected work of Will Ferrell or Dwayne “The Rock” Johnson. Top-grossers are treated more like precious commodities, parceled out in order to eke the most out of what they’re worth. Given that, what does the Marvel blitz say about the MCU, and about the state of the mass media today? 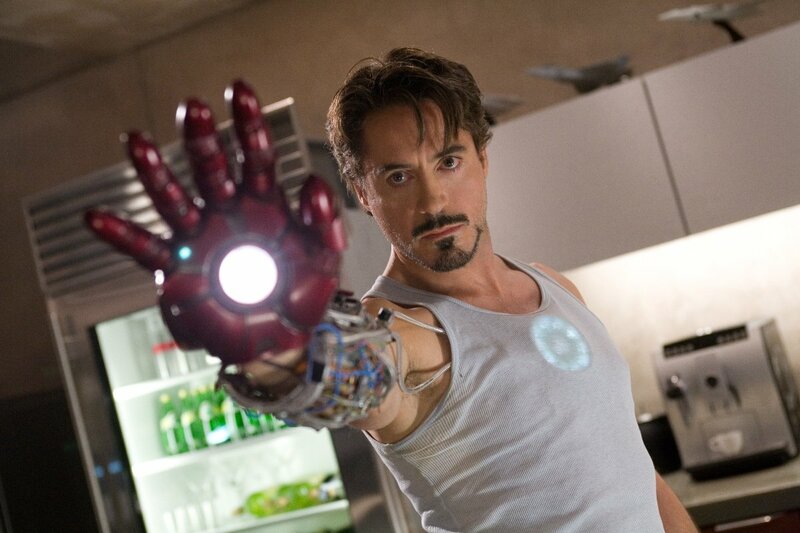 First off, most of the Marvel movies play just as well—if not better—on television. 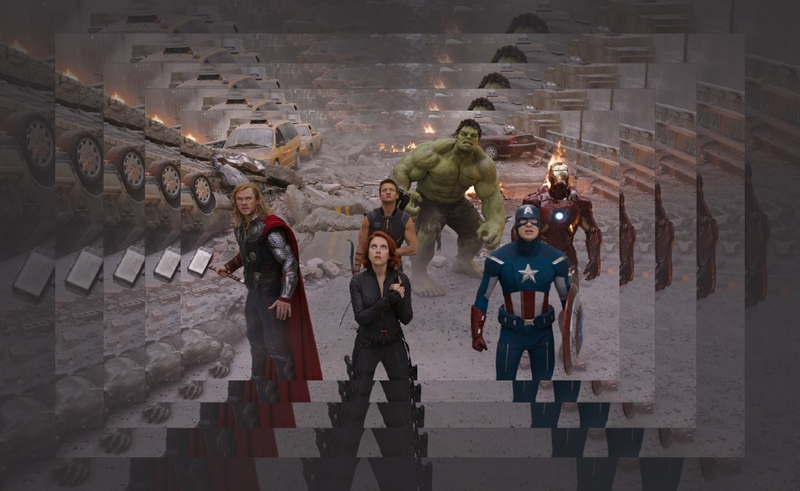 Though they’re all action-packed, rarely do audiences leave an Avengers or Iron Man and say, “This has to be seen in 3-D,” or even, “This has to be seen on the biggest screen possible.” If anything, the preponderance of digital effects and general mayhem can be look flat and become numbing in the theater, while they have more of a kick when the image is shrunk and concentrated. Plus, the MCU’s lengthy running times and multiple subplots—some of which carry over from film to film—make them play a lot like serialized TV. Nod off during a Saturday afternoon cablecast of Thor and it’s like watching two or three episodes of some Thor TV show, with storylines winding from Asgard to Earth. 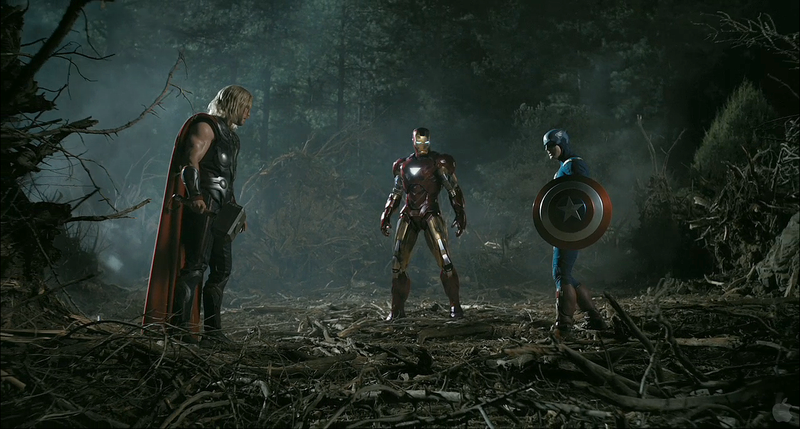 There’s also a high level of rewatchability to the Marvel movies, which makes them well-suited to, “There’s nothing else on so I guess I’ll check this out for a little bit.” The moments of levity in the MCU, and the scenes of actual wonder and awe, mean that even the studio’s most uneven films can hold a viewer’s attention for short stretches. Eventually, some of their lumps even begin to smooth out. 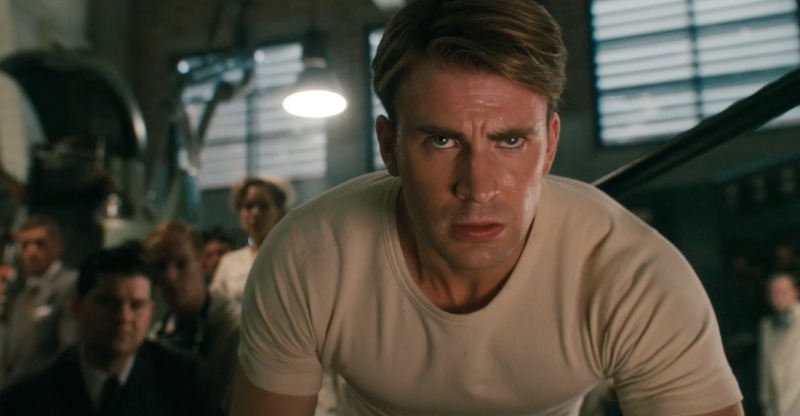 For example, Captain America: The First Avenger—which seemed fairly choppy and forgettable in its theatrical run—looks more and more like one of the richest and most entertaining mainstream action-adventure pictures of the 2010s each time it pops up on FX. It’s hard to say whether the box-office success of Marvel Studios is related to the way FX reruns its movies. That would appear to be counterintuitive: Why would people pay premium prices at the multiplex for superheroes that they can see on cable TV almost every night? But it could be that Marvel and FX are mutually benefiting from the way people consume entertainment today. DVD and Blu-ray rentals and sales have been either flat or slightly declining over the past few years, which means there’s less of a compelling reason to protect the retail shelf-life of movies. Meanwhile, the TV industry has learned that making shows available online or in marathon programming blocks during the off-season often leads to a boost in viewership whenever new episodes resume. This may also explain the rush to make every new genre film the first step toward a “shared universe.” It’s not just about using one theatrical release to promote the next one; it’s about creating a body of work that’ll fill up cable channels for years to come. Marvel and FX may have been among the first to discover an essential truth about the modern media consumer. Make a piece of pop culture inescapable, and rather than rebelling against it, the public chooses to give in, and to find a way to work it willingly into their entertainment diet. That may sound insidious, but the results haven’t so bad—at least not for those who lament the decline of the monoculture. Perhaps unintentionally, Marvel and FX have re-created the cultural conditions of the 1980s, when young people would practically internalize movies like Ghostbusters and The Terminator, seeing them multiple times in theaters before renting them repeatedly on VHS and then catching them each time they aired on cable. Repetition is what’s turned so many blockbusters into beloved classics. If today’s consumers aren’t inclined to choose to return to the same big movies, Marvel and cable will keep showing them until everyone’s a fan.